As in most houses of this era before steam shovels, the foundation was dug by hand. The house has a full basement under part of the house, and a crawl space under the other part. In the crawl space area, there are still several stumps of the oak trees that were cut down to build the house. 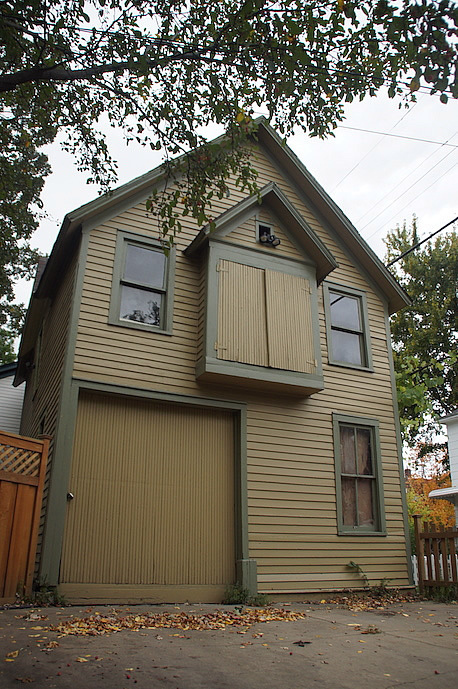 Although most original carriage houses in the neighborhood have been torn down for garages, this home still has the original carriage house that Neet mentioned. The existence of an original carriage house reminds us that this was a neighborhood where the primary means of transportation was originally horsepower. A later owner, dentist William Brombach, set up his dental office here; he and his wife lived next door at 1623 Dupont. Dr. Brombach kept gold for fillings in the walk-in, fire-proof vault under the stairs, where Kost had stored his insurance documents. Dr. Brombach provided free dental check-ups to Ascension students every year for many years. All the windows in the bays are replacements. The north and west facades have multiple two-story additions. The original carriage still has its hayloft door; however, the carriage house's cupola/tower no longer exists. 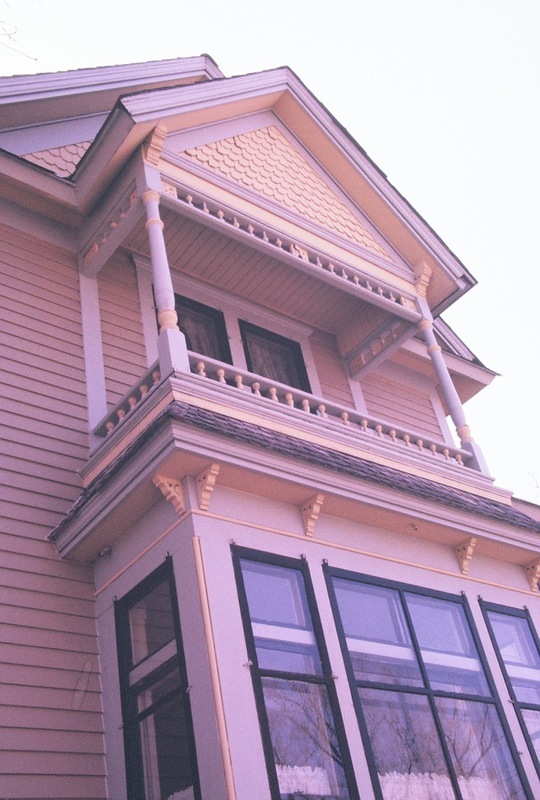 A side gable faces the house, and the clapboard wall surface extends unbroken into the gables. 1. Neet, Fred. Local Heritage Preservation Designation Study: Frank J. Kost House and Carriage House. Rep. Minneapolis: Minneapolis Heritage Preservation Commission, 1986. Print. 2. Neet, Fred. 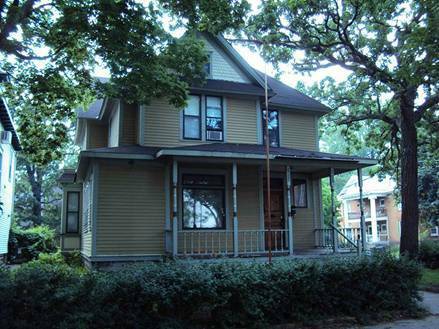 Local Heritage Preservation Designation Study: Frank J. Kost House and Carriage House. Rep. Minneapolis: Minneapolis Heritage Preservation Commission, 1986. Print. 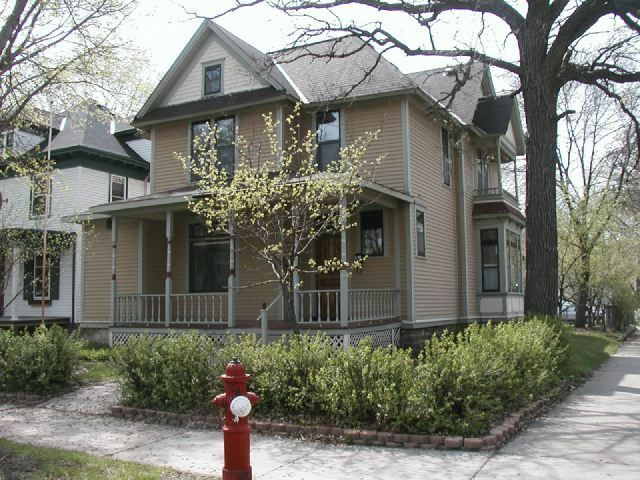 Old Highland Neighborhood Association, “1625-1627 Dupont Avenue North: Kost-Brombach House,” Minneapolis Historical, accessed April 22, 2019, http://minneapolishistorical.org/items/show/15.